Infrared thermography is an imaging tool that captures infrared radiation emitted by the body, which helps in the diagnosis of inflammatory diseases. The aim of this research was to evaluate the feasibility of the use of thermal imaging in the diagnosis of repetitive strain injuries (RSI) in the wrist and hand joints. Thermal images were collected from the wrist and hand region of 33 volunteers. From these total, there were 23 volunteers with complaints of pain in one hand and wrist, due to RSI in their daily working activities (study group); while the other 10 volunteers had no complains (control group). The volunteers underwent clinical assessment by an orthopedist and were also associated through the ultrasound evaluation. Thermal imaging analysis was performed in the wrist and hand joints complaining regions and compared with the healthy side/limb. The thermal variations, i.e., based on the infrared imaging temperature measurements, were compared between the study and control groups, through the clinical and ultrasound diagnoses by the Anova, Bonferroni, and LSD tests. Between the study group, there was a significant difference with p = 0.037 for Bonferroni and p = 0.012 for LSD. The ROC curve showed that thermography presents 50% sensitivity and 82% specificity using a cutoff of 0.65 °C for temperature differences. The results showed that the infrared thermography analysis might be able to evaluate the inflammatory process from repetitive strain injuries, helping its diagnosis and monitoring of such condition. We are thankful to the Laboratory of Thermography from the Federal Technological University of Paraná (UTFPR). This research project has been approved by the “Pontifical Catholic University of Paraná (PUCPR)” Ethical Committee, according to protocol number 6178.
http://www.ilo.org/public/portugue/region/eurpro/lisbon/pdf/safeday2013_relatorio.pdf. 2013. Acessed 24 April 2018. Helmy A, Holdmann M, Rizkalla M, editors. Application of thermography for non-invasive diagnosis of thyroid gland disease. 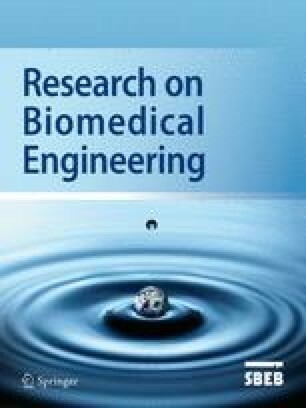 IEEE Trans Biomed Eng. 2008;55(3):1168–75. https://doi.org/10.1109/TBME.2008.915731. Organização Mundial da Saúde (2013) [The prevention of occupational diseases]. http://www.ilo.org/public/portugue/region/eurpro/lisbon/pdf/safeday2013_relatorio.pdf;2013. Acessed 24 April 2018. Piligian GJ, Gold JE. The repetitive strain injury process: alterations in physiology vis-à-vis symptoms. J Orthop Sports Phys Ther. 2012;42(7):660. https://doi.org/10.2519/jospt.2012.0204.